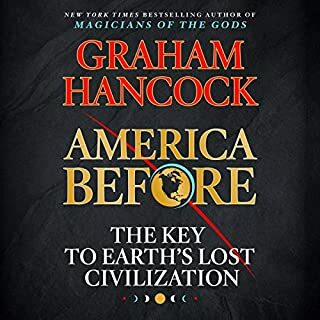 The evidence revealed in this book shows beyond reasonable doubt that an advanced civilization that flourished during the Ice Age was destroyed in the global cataclysms between 12,800 and 11,600 years ago. But there were survivors - known to later cultures by names such as "the Sages", "the Magicians", "the Shining Ones", and "the Mystery Teachers of Heaven". The wait was worth it! A young girl called Tozi stands at the bottom of a pyramid, waiting to be led to the top where her heart will be cut out.... Pepillo, a Spanish orphan who serves a sadistic Dominican friar, is aboard the Spanish fleet as it sails towards Mexico.... This is the epic story of the clash of two empires, two armies and two gods of war. Five hundred desperate adventurers are about to pit themselves against the most brutal armies of the ancient Americas, armies hundreds of thousands strong. 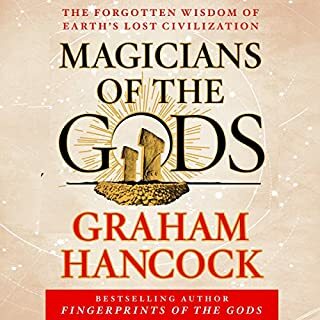 Graham Hancock has spent decades researching and writing some of the most ambitious and successful nonfiction investigations into ancient civilizations and wisdom. Entangled uses all of Hancock's skills and knowledge to propel a fantasy adventure like nothing else preceding it. This is a time-slip novel, alternating between present-day California, Brazil, and prehistoric Spain, with two teenage female protagonists who must come together to avert an incredibly bloodthirsty takeover of the human race. Terence McKenna hypothesizes that as the North African jungles receded, giving way to savannas and grasslands near the end of the most recent ice age, a branch of our arboreal primate ancestors left the forest canopy and began living in the open areas beyond. There they experimented with new varieties of foods as they adapted, physically and mentally, to the environment. Among the new foods found in this environment were psilocybin-containing mushrooms. Sacred Knowledge is the first well-documented, sophisticated account of the effect of psychedelics on biological processes, human consciousness, and revelatory religious experiences. Based on nearly three decades of legal research with volunteers, William A. Richards argues that, if used responsibly and legally, psychedelics have the potential to assuage suffering and constructively affect the quality of human life. Uncovering compelling new evidence, Egyptologist Robert Bauval and astrophysicist Thomas Brophy present the anthropological, climatological, archaeological, geological, and genetic research supporting a hugely debated theory of the black African origin of Egyptian civilization. Building upon extensive studies from the past four decades and their own archaeoastronomical and hieroglyphic research, the authors show how the early black culture known as the Cattle People not only domesticated cattle but were also an advanced civilization. In this groundbreaking new work, Mark Booth embarks on an enthralling intellectual tour of our world's secret histories. Starting from a dangerous premise - that everything we've been taught about our world's past is corrupted, and that the stories put forward by the various cults and mystery schools throughout history are true - Booth produces nothing short of an alternate history of the past 3,000 years. Called "America's wisest and most respected authority on psychedelics and their use", James Fadiman has been involved with psychedelic research since the 1960s. In this guide to the immediate and long-term effects of psychedelic use for spiritual (high dose), therapeutic (moderate dose), and problem-solving (low dose and microdose) purposes, Fadiman outlines best practices for safe, sacred entheogenic voyages learned through his more than 40 years of experience - from the benefits of having a sensitive guide during a session (and how to be one) to the importance of the setting and pre-session intention. Less than fifty thousand years ago mankind had no art, no religion, no sophisticated symbolism, no innovative thinking. Then, in a dramatic and electrifying change, described by scientists as "the greatest riddle in human history," all the skills and qualities that we value most highly in ourselves appeared already fully formed, as though bestowed on us by hidden powers. 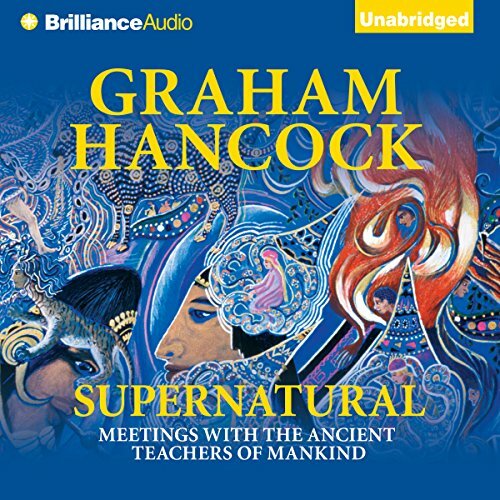 In Supernatural Graham Hancock sets out to investigate this mysterious "before-and-after moment" and to discover the truth about the influences that gave birth to the modern human mind. His quest takes him on a detective journey from the stunningly beautiful painted caves of prehistoric France, Spain, and Italy to rock shelters in the mountains of South Africa, where he finds extraordinary Stone Age art. He uncovers clues that lead him to the depths of the Amazon rainforest to drink the powerful hallucinogen Ayahuasca with shamans, whose paintings contain images of "supernatural beings" identical to the animal-human hybrids depicted in prehistoric caves. Hallucinogens such as mescaline also produce visionary encounters with exactly the same beings. Scientists at the cutting edge of consciousness research have begun to consider the possibility that such hallucinations may be real perceptions of other "dimensions." Could the "supernaturals" first depicted in the painted caves be the ancient teachers of mankind? Could it be that human evolution is not just the "meaningless" process that Darwin identified, but something more purposive and intelligent that we have barely begun to understand? ©2007 Graham Hancock (P)2014 Brilliance Audio, all rights reserved. I recently listened to Rick Strassman's, MD, book DMT: The Spirit Molcule and Graham Hancock's book Supernatural heavily references Rick Strassman's research throughout the book. And, because I had listened to John Keel's book Flying Saucer to the Center of Your Mind, it was a very enjoyable experience to listen to Graham Hancock tie together many similarities in human tales of fairies and such and current ufo abduction experiences. Also, his observations and gathered information on human dna is fascinating. But, most interesting of all were the similarities of humans experiencing the same places and entities throughout time, as is evidenced by ancient rock art all the way up to the reports by inner explorers upon their return after experiencing DMT. And snakes . . . lots of snakes reported . . . symbolic? 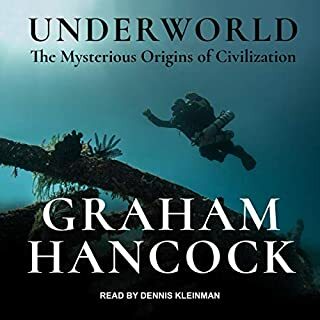 Nicely narrated, this book was a fascinating listening experience. What made the experience of listening to Supernatural the most enjoyable? What was one of the most memorable moments of Supernatural? What about Christopher Lane’s performance did you like? For once, the narrator could pronounce the words correctly! 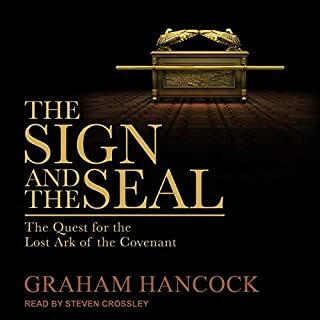 Christopher Lane narrated this book in a voice that was strongly reminicent of listening to the author himself. Great job. 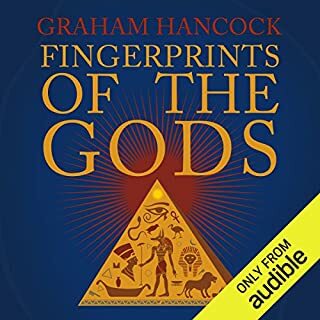 We would like to have more of Graham's books converted to unabridged audible recordings. WOULD RECOMMEND THIS BOOK TO ANYONE WHO IS INTERESTED IN ALTERED STATES OF CONSCIOUSNESS AND UNEXPLAINED ANOMALIES. A GOOD ONE!! I have been a fan of Mr. Hancock for over 20 years. He has outdone himself with this book. I found that, several times while listening, I had to pause the book and just let the information soak in and let my mind ponder all the implications of what I was learning before I could listen to anymore. The balance that he strikes between self discovery and research is well done. While it is obvious that the experiences, ideas and knowledge he has gained has been life altering for him, I never feel like Mr Hancock gets on a pulpit and preaches. He simply lays out the journey that he has been on for the listener and leaves it up to that same listener to make of it what they will. The only issue that I have is that at the end of the book I had so many questions ... And I am not really sure how to start down the path of discovery for myself! I would. This is a thought provoking and interesting listen. There are a lot of new ideas in here and they are well thought out and researched. This is not just some hippy wanting to tell you about his trip. The theory purposed in Supernatural is "out there" for sure, but that doesn't mean it is necessarily untrue or unsupportable. The author's ideas are clear and to-the-point. He seems well educated and uses the scientific method in his search for answers. There are some unique and fresh theories on aliens, UFO's, and even ferries. If you're interested in expanded your mind and challenging your ideas on reality, check this book out. I am fascinated by the subject. A superb well written book, beautifully read. It held my interest for the entire 14 hours. I am starting it again. Immediately. I don't think I've done that in my entire 75 book Audio library. If you could sum up Supernatural in three words, what would they be? What other book might you compare Supernatural to and why? I cant. This book is one of a kind. This one absolutely. I will have to listen to it several more times to feel like I've listened to it. 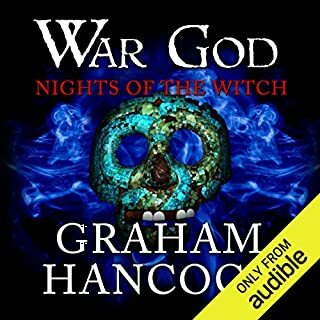 Another great work from Graham Hancock. I've become a huge fan of his. First heard him on Joe Rogan's podcast, Got Magicians of the Gods and couldn't put it down and now this. He continues to blow my mind on so many things. Fascinating guy and I can't wait to see what he does next. This was enjoyable to listen to. I've dipped my toes into the subjects covered in here before, from variety of sources, but never connected them together the way the author does here. As someone who has tried psychedelics and also had strange supernatural experiences, I think the trends, patterns, and consistencies in these experiences are on point, even though the author doesn't draw any definite conclusions. Keep an open mind and you will find this fascinating. Brilliant! People rarely, if ever think this far outside the box without sounding full-on nuts, but Hancock seems to be able to pull it off!